Team collaboration is an essential part of how companies large and small work today. However, the larger the team, the harder it’s to make sure everyone is on the same page and knows what the priorities are. Email is where lots of tasks originate. Still, it takes a huge effort to move a task to a task management system. 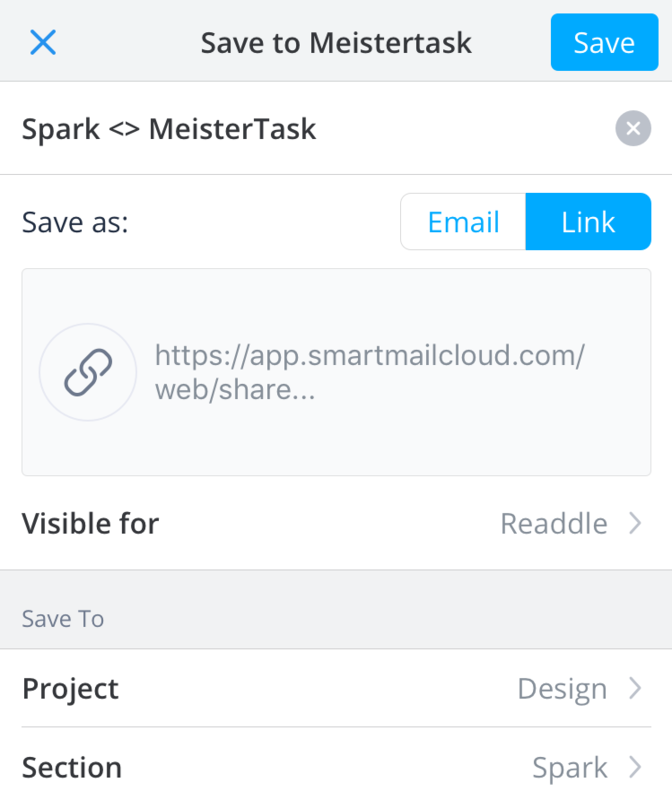 Today we’re expanding our list of amazing integration services in Spark by adding MeisterTask integration – a simple and intuitive task management tool for teams. 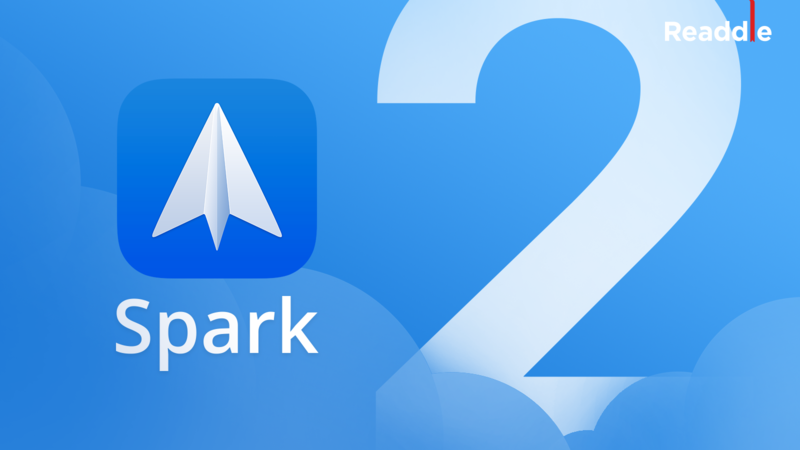 To get the ball rolling, you have to go to Spark Preferences > Services and log in with your MeisterTask credentials. Next time you get a сustomer complaint, feature suggestion or a document request via email, you can simply turn this email into a task in MeisterTask in just two clicks: click the 'three dots' button in the upper right corner of the email and select MeisterTask. 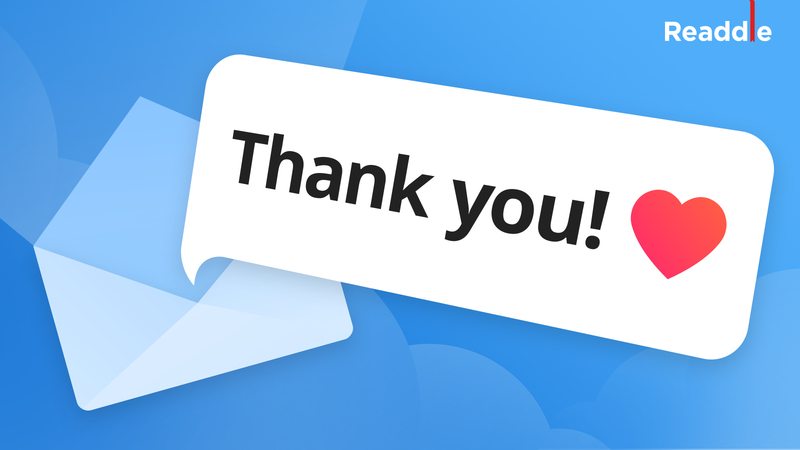 Email will export a text of an email into MeisterTask app. This way you’re adding necessary context for your teammates helping them to finish tasks quicker. Link option will be super handy when you want to add an entire conversation to a task so that your team can always see up-to-date information. This is a secured web link that will always reflect the most recent updates in the thread. 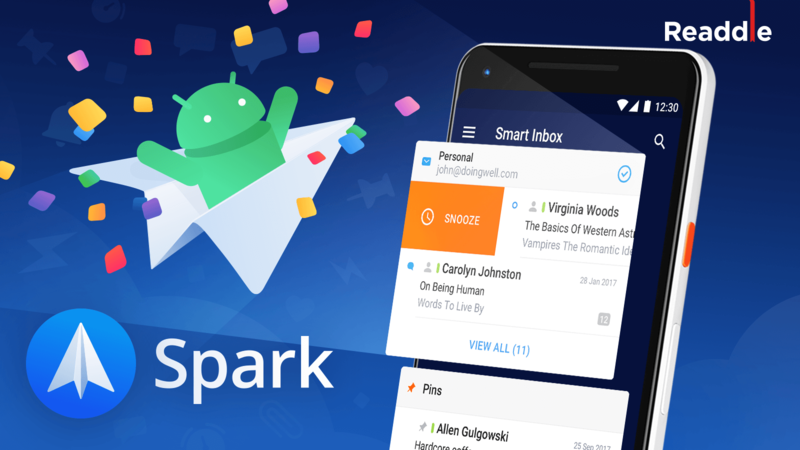 Your teammates won’t have to install Spark and can view it in the browser. With Spark for Teams, you can streamline your team communication and project management with private chat and email export. 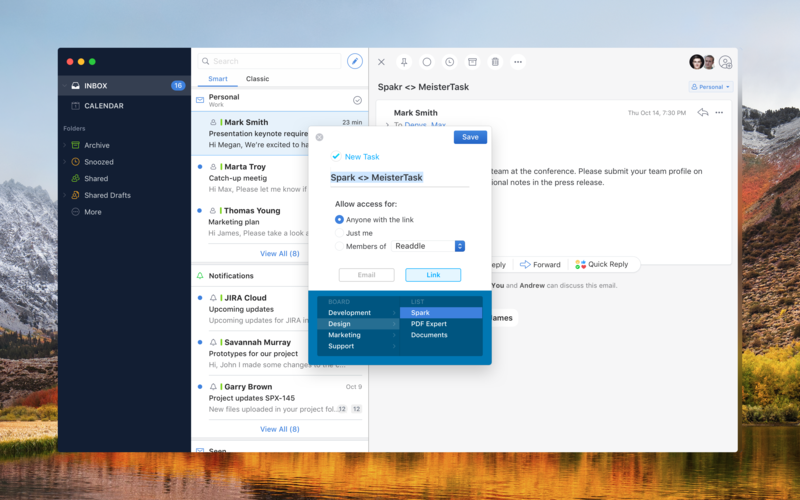 All of your private team discussions will happen in Spark where you can agree on tasks and then export them to MeisterTask to track progress on their completion. 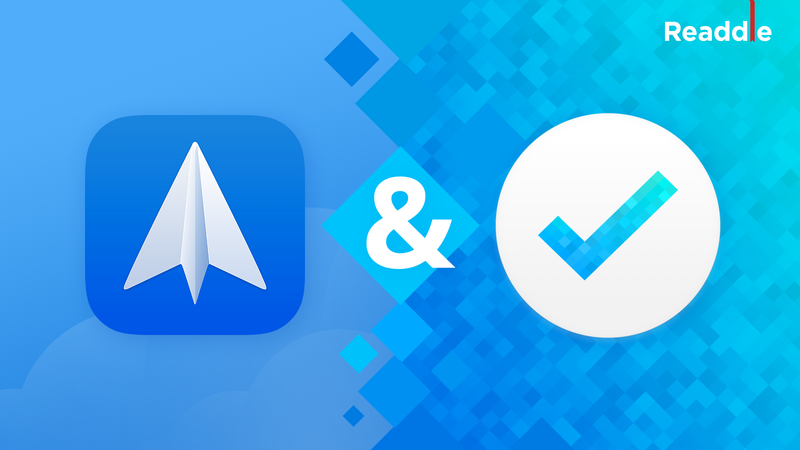 Share this post on Twitter or Facebook for a chance to win 1of 3 licenses for MeisterTask (3 months free) or use a SPARK15 code when checking out for a 15% discount.